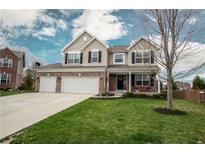 Below you can view all the homes for sale in the Mill Grove subdivision located in Noblesville Indiana. 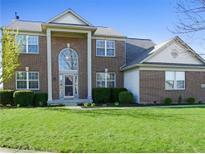 Listings in Mill Grove are updated daily from data we receive from the Indianapolis multiple listing service. To learn more about any of these homes or to receive custom notifications when a new property is listed for sale in Mill Grove, give us a call at 317 979 0009. Step out the sliding glass door to your very own private backyard oasis with huge custom multi-level deck. MLS#21632751. Carpenter, REALTORS®. * master suite boasts tray ceiling, comfort height double vanity, garden tub/Seperate shower & walk in closet* Fresh paint ('19)* Large paver patio, fenced yard & play set* neighborhood pool. MLS#21630945. F.C. Tucker Company. Relax on the oversized 22x13 Patio w/stubbed in gas for your grill! MLS#21632175. Berkshire Hathaway Home. Located in desirable Mill Grove which is a few short mins from everything, includes an active social committee, neighborhood pool, playground & basketball court leaves little to be desired! MLS#21625881. CENTURY 21 Scheetz. A loft area features a 3rd bedroom, full bath and a huge loft area. MLS#21623509. HMS Real Estate, LLC. Finished oversized 2 car garage. Plus a community pool! ! MLS#21622301. Keller Williams Indy Metro NE.